What dynamic, what utter force can twist the urgency of the human mind to not seek knowledge, and have fear of the normal process? One sure way is to feed the body and mind nonsense, impurities, and falsehoods of every conceivable kind. Truth, then, can be rejected, ignored, even feared. Lack of knowledge forms the crux by which people can be controlled. Public schools in inner cities, for example, are everywhere called “poor schools,” yet so-called leaders representing various aspects of these communities, cannot or do not deal with the realities underlying such labeling. The key to “poor schools” being what they are stems from a wholesale lack of knowledge, and fear of the mammoth political and economic system that is the School Board. It is most significant at the outset that church leaders, elected officials and civic groups allow the designation and realities of “poor schools.” Labeling inner city schools as poor indicates that public schools somewhere else carry the opposite designation of “rich schools.” And, without a doubt, public schools that are “rich schools” are in white, up-scale communities. There are certainties that an oppressed people are conditioned to allow. Black people are brutalized in every way by the “white supremacy system culture,” therefore, fear of white people undergirds everything black people do and don’t do. Beneficence also stems from white people and that engenders a guarded trust (white guilt produces black confusion). But even if a black school had only one computer per classroom and white schools had a computer for each student, it would still behoove the black community to find a way to use meager resources to compensate; and, therefore, guarantee a comparable education for each black student. Positive community input could encourage innovation by principals and teachers so that a system of learning endemic of crucial need is created. We cannot afford fear and ignorance, no people can. Common sense is all that is required in order to make progress. Churches could be opened for after school programs that include education, organized recreation and cultural activities. Instead of buying preachers new expensive cars, buy computers for the youth and community development programs! Black fraternities and sororities boast a plethora of professionals, especially in education, religion, social work, law, public administration, technology and business. While these souls have mostly left the inner city as residents, for the most part they have not left their churches. And there are even more college trained blacks that are non-Greeks in virtually every county where there are inner city and rural areas in need of transformation. Ergo the number one problem black people have that, if not resolved, can lead to no other place but oblivion is ignorance of self. Black people must resolve a lack of knowing the chronological history of the African past from the dawn of man through slavery to the present. Significant numbers of black children cannot be motivated by George Washington, Abraham Lincoln, Aristotle, Galileo and so on. But eyes would brighten as attention tightens when children of the downtrodden are shown pictures of the famous great pyramids in Egypt, designed and constructed by ancient Egyptians who were black. That was more than five thousand years ago. Let them learn about Ethiopia, Egypt, Kush (now Nubia) and all other black Nile Valley civilizations of antiquity. What happens to black kids when they learn that ancient Africa had universities in East Africa and West Africa that people came to from Europe and Asia as well as other parts of Africa to study the sciences, the arts, literature and international trade? Do you think that black kids would be excited to know that black people were in the Americas, hundreds of years before Columbus, peacefully interacting with people, trading, sharing knowledge and leaving artifacts including huge, nine foot tall, tons heavy sculptures of themselves, always facing the Atlantic Ocean? 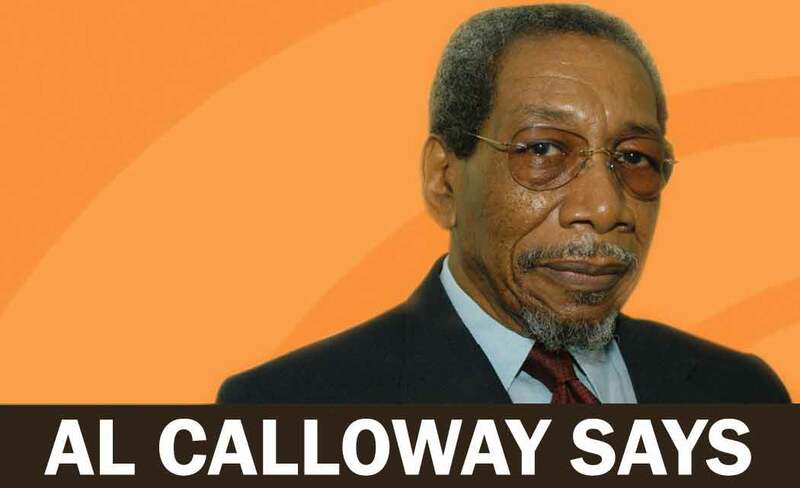 Al Calloway is a longtime journalist who began his career with the Atlanta Inquirer during the early 1960s civil rights struggle. He may be reached at Al_Calloway@verizon.net.